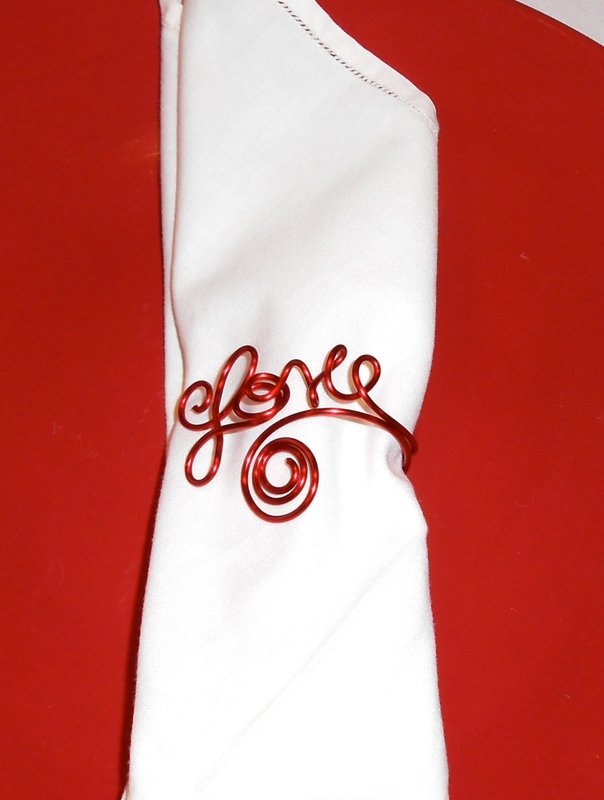 This beautiful set of 6 hand scripted LOVE napkin rings are a vivid red color. Will take you from Christmas to Valentine's Day for many years to come. 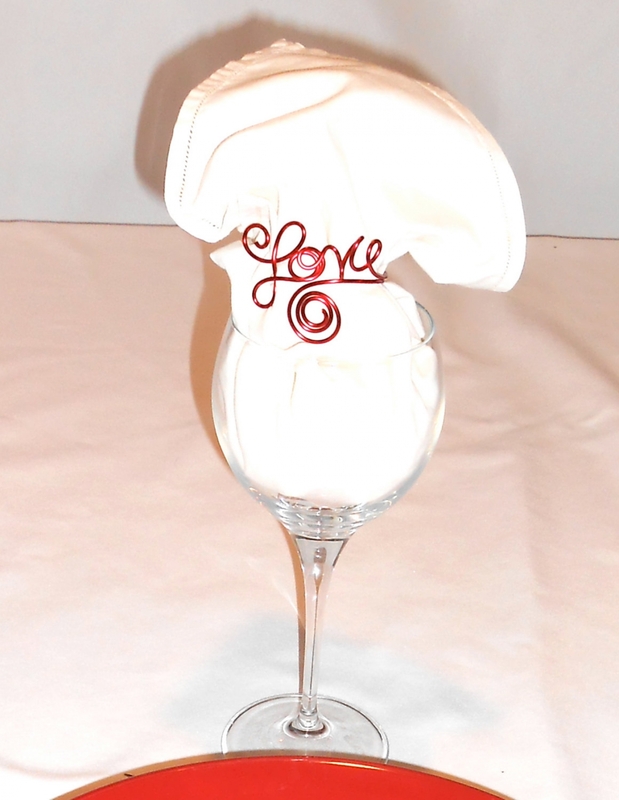 Perfect for your holiday tables! Made from high quality, durable non tarnish, non rust wire. You may also order in your initials. Leave the letters needed in the "notes" box at checkout. Getting married and need bigger quantity? Send me a message for a quote. Need a custom word? Please send me a message for a quote. Measures approximately 3 inches in diameter. Please message me if you need smaller or wider.